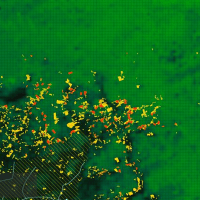 This map features the relation between deforestation and the opening of roads in the Amazon. 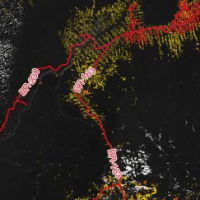 It puts together the database of roads ,collected by Raisg on their “Amazon Under Pressure” Altas, and deforestation, as measured on Brazil´s INPE data. On the center of the map, the intersection between two of the main roads in the Brazilian Amazon, the BR163 and BR-230, the also Transamazônica Highway. 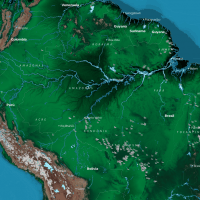 Amazon Under Pressure collects data from the atlas published by the Amazon Network of Environmental and Social Georreferenced Information (RAISG), collected over three years of work by a group of 11 organizations from all countries of Panamazonia. 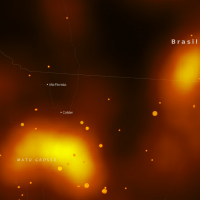 Map of forest fire in whole Latin America. The datasets cover three dimensions of the ocurrencies: time patterns, high intensity events and latest fire pixels update monthly. Hydropower in the Amazon is changing the world’s largest river basin. In total, 171 are already operating and other 246 have been planned. Mouse over each item to view information about the implementation stage, the company responsible and generation capacity. 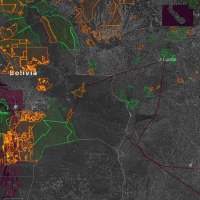 The map of Cattle Ranching in the Brazilian Amazon shows the concentration of cattle on each one of the 771 municipalities of the territory, the numbers of farms confiscated by the Brazilian Environmental Agency, the IBAMA, and slaughterhouses on these areas. 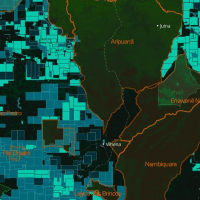 Oil blocks are mostly concentrated in the Andean Amazon or transition zone between this region and the Amazon jungle. The procedure is associated with the construction of new roads in the middle of the jungle, and represents risk to protected areas and indigenous territories. 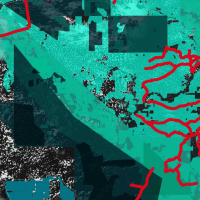 On the map, the areas of the blocks are divided by color according to their use stage: darker purple areas are already in the exploration and extraction, the brighter ones are requested and potential applications. Mouse over each one of them to see information about their phases, applicants and official area in hectares.